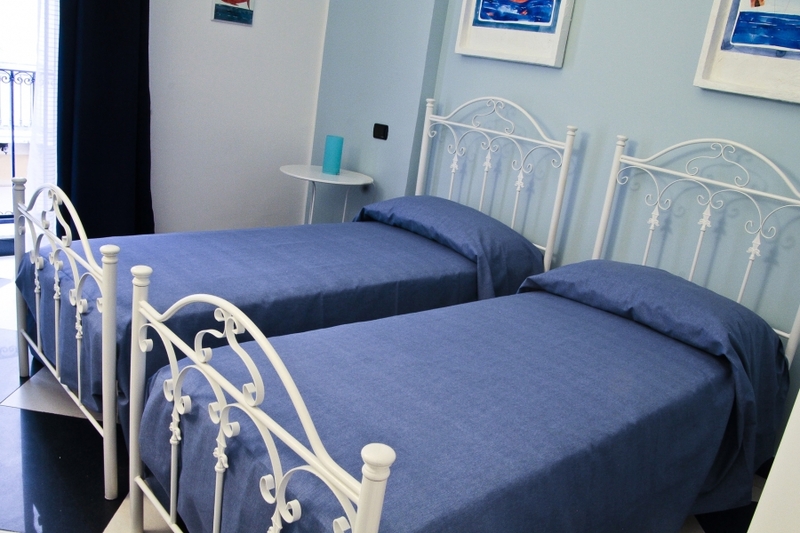 Double room with en-suite bathroom, can accomodate up to 4 people, with a small balcony overlooking via Cozzo. 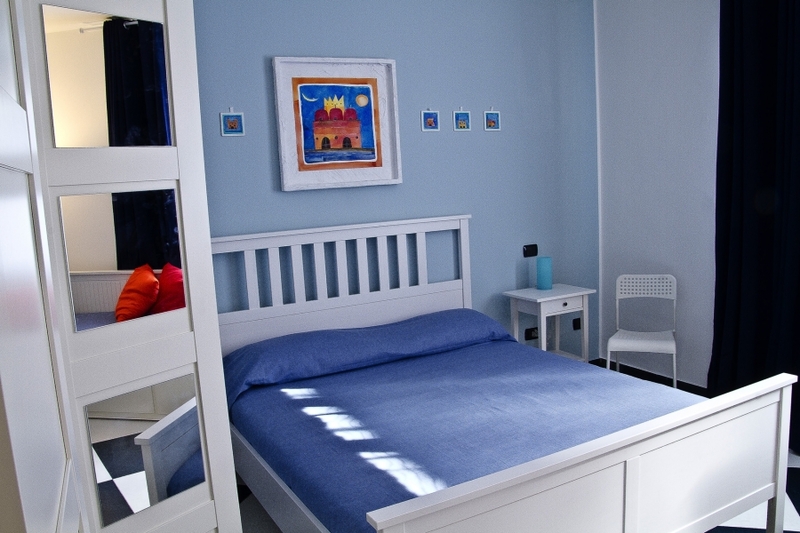 We wish to offer our guests, through the works of the local artist Rosa Lombardo (Larotellina), a "small journey" within the city of Palermo, in its many astonishing aspects. 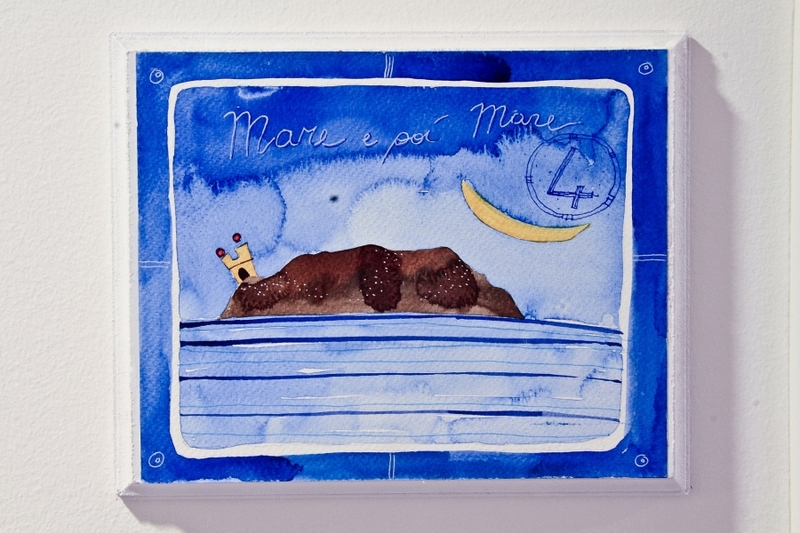 The artist shows us the city of Palermo and Sicily through innocent and immaginative eyes, her works are animated through the use of bright lively colours. 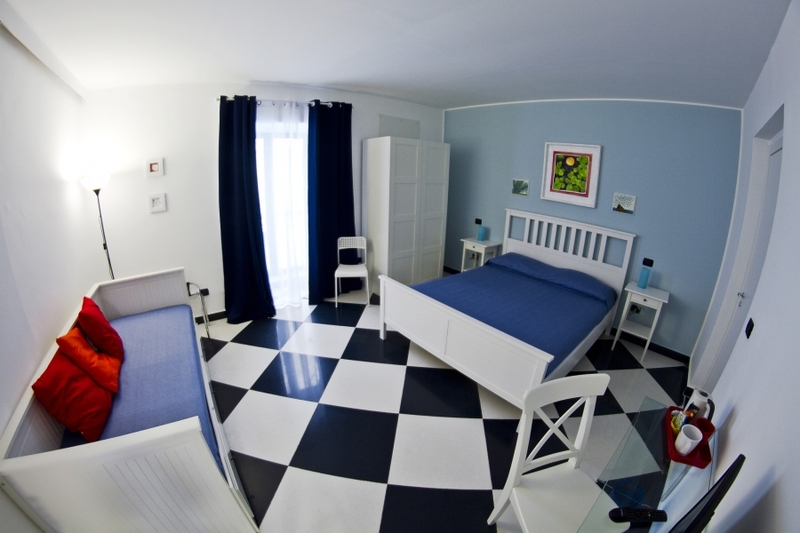 The 'journey' is composed of 5 main themes which, in turn, give the name to each of the five rooms of the B&B. 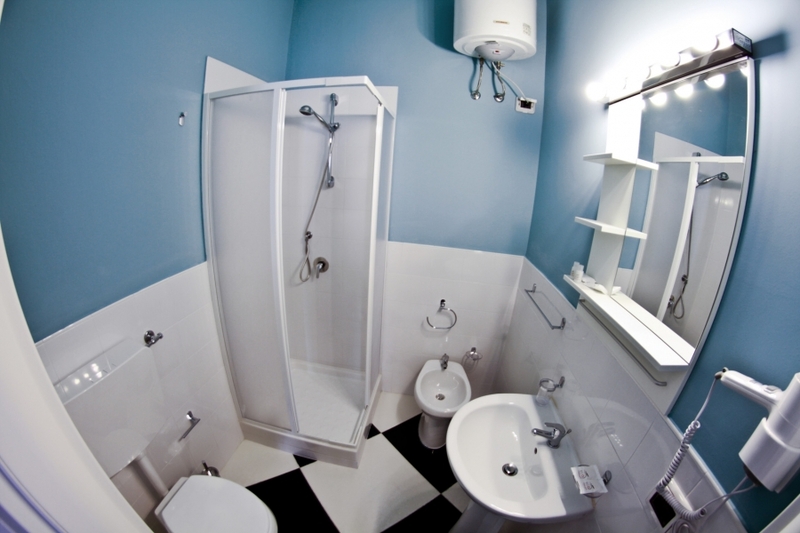 The collaboration with Larotellina has given our B&B a touch of originality and freshness of which we are proud, and hope that our guests will appreciate it as well. 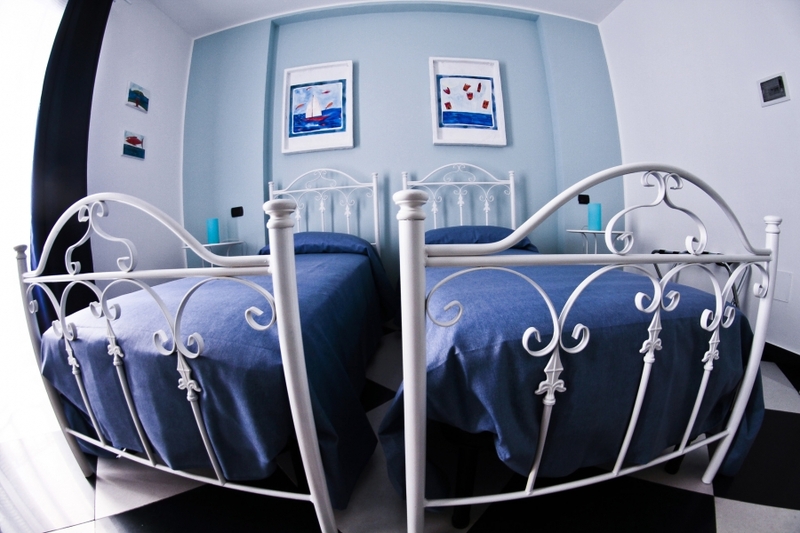 B&B Casa Galati is composed of 5 spacious and luminous rooms, decorated with charm and style, fully equipped to offer our guests maximim comfort. 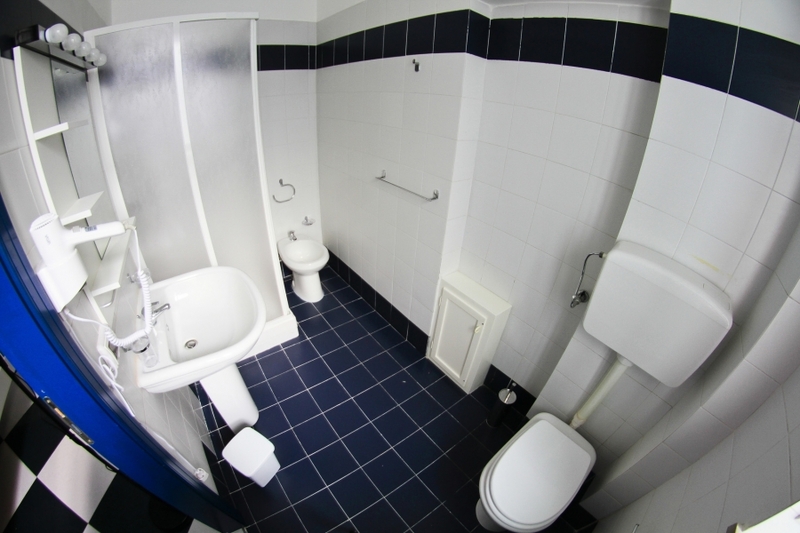 Each room has a bathroom (3 rooms have an en-suite bathroom, 2 rooms have a private external bathroom), hairdryer, independent air conditioning and heating, tv, tea and coffee making facilities. 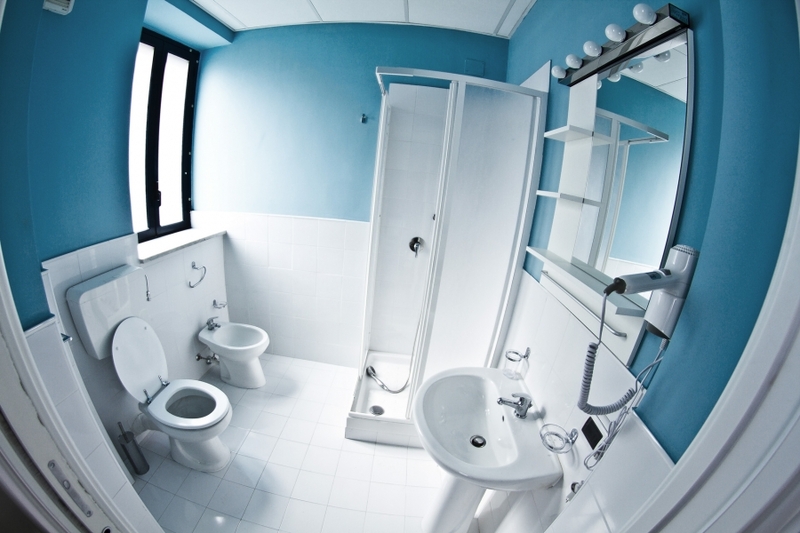 One of our rooms is for disabled guests, with an adequately equipped private bathroom. Our breakfast room and lounge, where you can also find a mini-bar, are pleasant and cozy rooms where our guests can sit down and relax during the day. 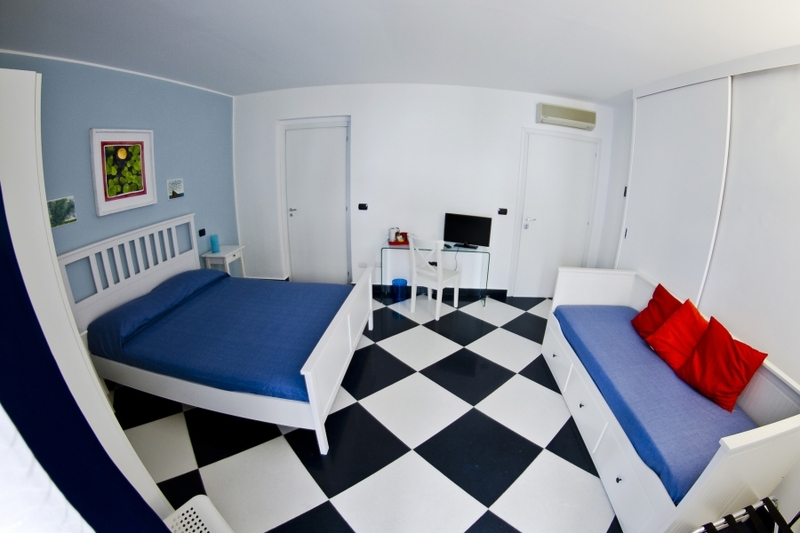 Double room with twin beds and private external bathroom, with a small balcony overlloking via Cozzo. 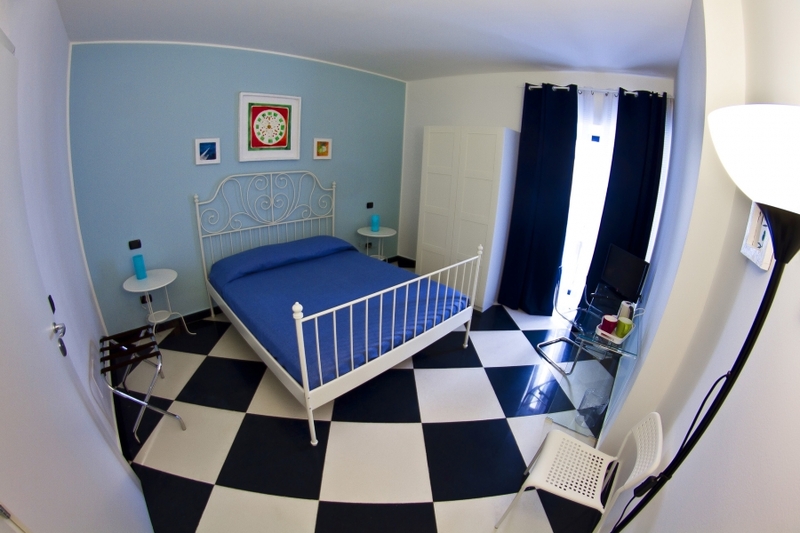 Double room with private external bathroom, and a small balcony overlooking via Cozzo.